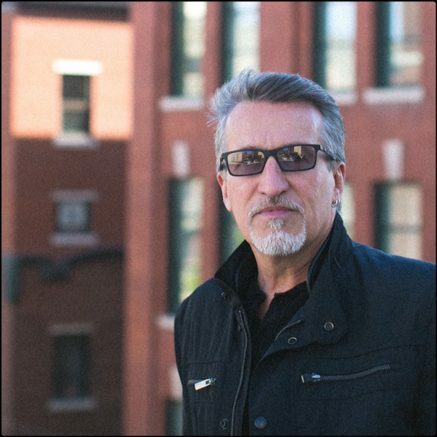 Over the last three decades, Steve Bell, one of Canada’s best-known Christian singer/songwriters, has released music that is appreciated by Christians and non-Christians alike. His music explores spirituality through love, compassion, and wisdom. Released on Nov. 1, Bell’s latest and twentieth album, Where the Good Way Lies, builds on these virtues and on Nov. 26, the Juno Award-winning musician will be celebrating the album’s release with a performance at Grant Memorial Church. The album showcases Bell’s prowess as a songwriter, singer, and instrumentalist. In a unique way, he sings his way through the album playing an acoustic guitar and blowing a trumpet. Where The Good Way Lies features Winnipeg rapper Fresh I.E. and back-up singing by traditional pow-wow singer Ray Co-Co Stevenson. By collaborating with these Indigenous artists, Bell sought to incorporate some of their wisdom into his new album. This is particularly evident in the title track, which is inspired by a quilt made by Métis elder Ruby Payette and highlights the seven sacred teachings of Indigenous wisdom – courage, humility, honesty, truth, respect, wisdom and love. This juxtaposition of Indigenous and Judeo-Christian spirituality not only inspired Bell to craft his new album but to strengthen his faith. Bell sees our society at a crossroads and believes his faith will carry him through. “The key to this latest project is in the title. It is lifted from a Hebrew scripture passage that encourages us to ‘stand at the crossroads, ask for the ancient paths, see where the good way lies, and walk in it,’” said Bell. Bell believes the cacophony of our chaotic society has overshadowed core values of Christianity. These values, which include helping others and nurturing our environment, are essential and it is necessary for us to hold on to them. Bell’s album highlights this need. “Given the days we’re in, with their social unraveling and alarming degradation of the environment as a consequence of our almost religious commitment to consumer capitalism, I think it would bode well for us all to listen intently to Indigenous voices around the world. And, given the relentless onslaught of colonial assimilation, the astonishing resiliency of those voices should be the first indication that they may harbour a vital gift for a time such as this,” said Bell. The overarching tone of Where the Good Way Lies is peaceful and hopeful. It is a mix of jazz, acoustic, and rap, woven together with poetic lyrics that uplift and celebrate love and beauty, while incorporating spiritual wisdom and courage throughout. At times, courageous, as on “Bring It On” and “Where the Good Will Lies,” and at others softer and calmer, as on “Freedom Song” and “Let Beauty Awake,” Bell takes listeners on a journey of hope and wisdom through his Christian faith. Where the Good Way Lies provides relief and philosophical guidance in a seemingly dark world. Steve Bell’s Where the Good Way Lies is available online and in stores. The official CD release show will feature the Steve Bell trio (featuring Mike Janzen on piano and Gilles Fournier on bass) on Nov. 26 at Grant Memorial Church in Winnipeg. Tickets are available online or at Hull’s Family Bookstore (1317 Portage Avenue).